"In these we claim our independence from the savage world around. Our autonomy, ideals, and pride live here." In the Mouse Territories, selfless mice mark the safe paths, noting which routes offer more cover and better viewpoints. Their protection extends from the Citadel of Lockhaven to every settlement in the Territory. After all, all mice must prosper or all mice will fall. 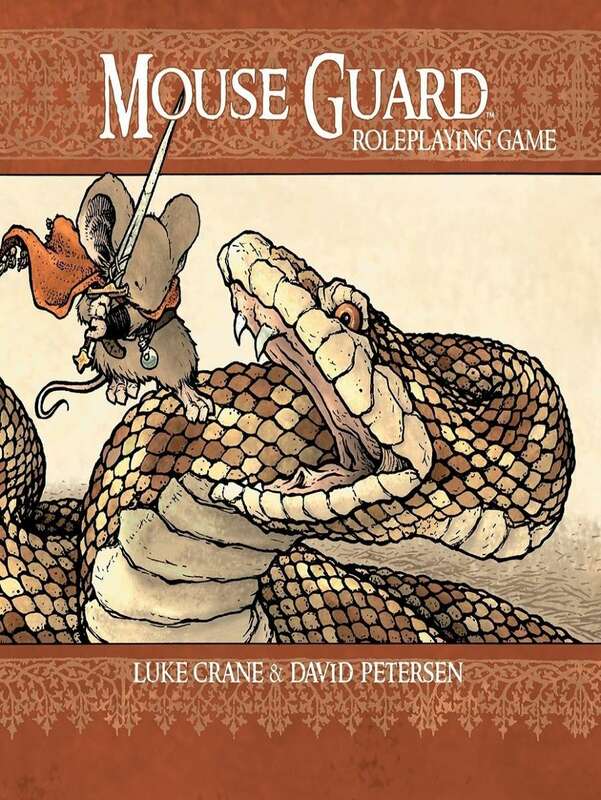 The Guardmice rally together to drive back the beast from Grasslake. Turtle power! Kagegami High (Part 4) "Good Storm"
At Kagegami High all students must make sure they have their permission slips proving that they exist signed by each of the students legal guardians. This campaign was voted for by our supporters on Patreon! In the land of Thea in the country of Castille lies a quiet coastal town called Montonen. Ah, but it is quiet no longer! It is under attack by outside forces who wish to destroy the only thing worth fighting for in a world of adventure, sorcery, and intrigue such as this. Why, is there anything more worthy of fighting for than love itself? Roman! Bishop! Silva! Pastora! Dirk! Geraldo! Machado! Francesco! Jose! Anna-Henrietta! Everyone's invited to the final episode! En garde! Purchase 7th Sea Second edition today from DriveThruRPG.com! The world is a weird and terrifying place, filled with secrets and hidden mysteries. It is populated by an occult underground of cabals of adepts, avatars, and the supernaturally inclined. One such cabal is F*ck Houdini, travelling circus performers who are about to get in WAY over their heads. All good things must end. Will this be curtains for the F*ck Houdini cabal, or will they pull a rabbit out of their hats and pull off a show stopping finale?